Home / How to / How To....? Ethical Hackers Club's how to is your dynamic Guide to learn tips and tricks of technology you love, Learn to Hack Like a Pro Hacker. Find out what's Bundled up for you in How to Section. Footprinting and other steps of Hacking. 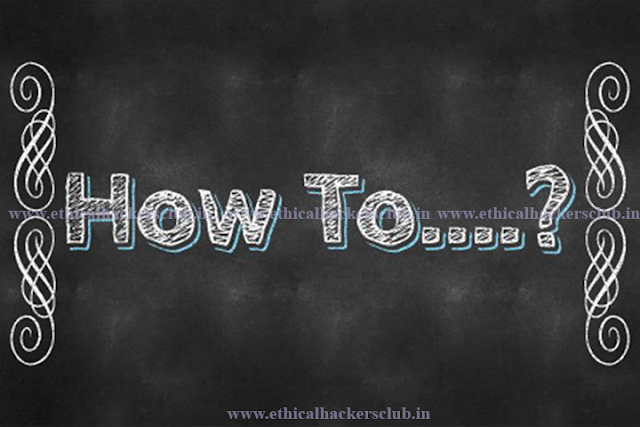 While all above contents can be highlighted for complete techno intelligent world, we have something for common people too as we had created Ethical Hackers Club to provide free support to one and all. Find out what's in for Common Tech Users? A complete Guide to Privacy while using Your Favourite tech and a lot's more. In fact, you'll find answers to all your tech related how to's here.